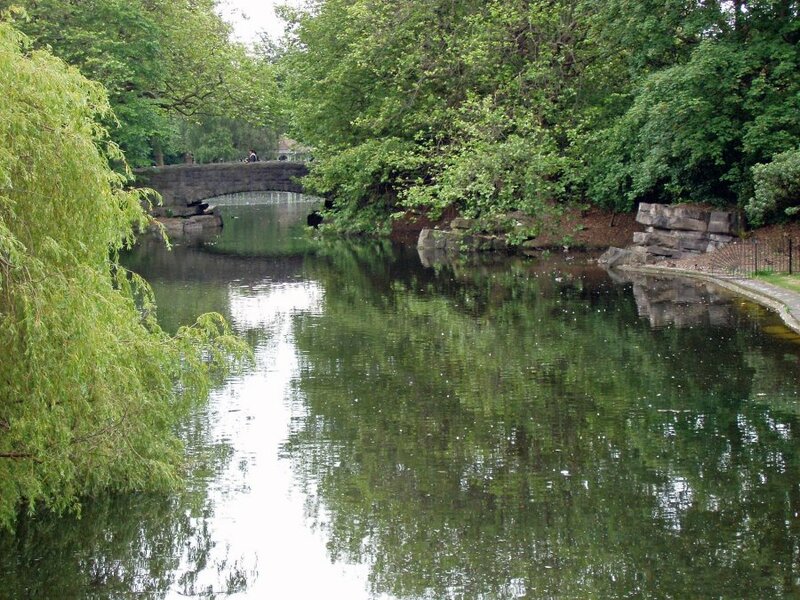 The history of St Stephen’s Green can be traced back to mediaeval times. Its name comes from the Church of St Stephen, which was the chapel of a leper hospital in those days, and ‘The Green’ was an unenclosed piece of marshy common land. In 1663, it extended to about 60 acres, and the City Assembly decided to develop it in such a way that it would provide some income for the city, while still providing an amenity for the local people as an open space. They then levelled the central Green; enclosed it by a stone wall, with a main entrance on the West side, and laid a gravel walk around the inside. They lined the inside of the walk with elms and limes; a drainage ditch inside that, and then another walk bordered with hawthorn hedges. The Green stayed like this for the next 150 years, and became a fashionable place to walk during the 18th century, with the central area being used for cattle pasturage, a parade ground for the yeomanry, and occasionally a place for public assembly and entertainment. An equestrian statue of George II, cast by Van Nost, was erected in the centre of the Green in 1758, and remained there until 1937. The condition of the Green had begun to deteriorate by the 19th century, however – the perimeter wall was broken in several places; many of the trees were old or decaying, and the drainage ditch became full of stagnant water and rubbish. An Act of Parliament was therefore passed in 1814 to hand the responsibility for its maintenance over to Commissioners representing the local householders. They tackled the task of restoration conscientiously by putting in new drains, filling the ditch, felling the old trees, and replacing them with new ones. They then replaced the old formal perimeter walks with new ones to suit the tastes of the time; replaced the old high brick wall with iron railings, and set out a broad walk between that and the road, bounded by chain-linked bollards. He paid off debts, and secured the passage of an Act of Parliament in 1877 that transferred responsibility for the maintenance of the Green to the Commissioners of Public Works. He took a great personal interest in the new design and layout of the Green – by J F Fuller and William Sheppard – in which his engineering assistant was Mr A L Cousins. 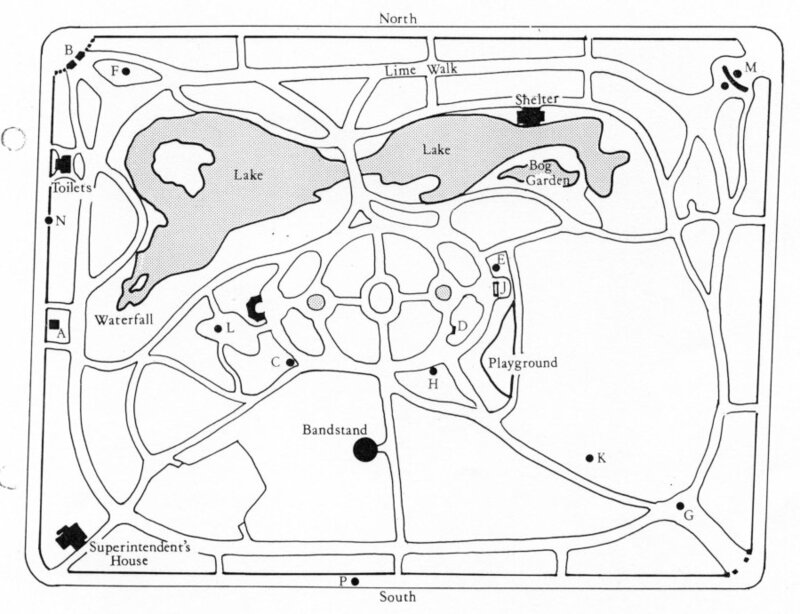 Work was carried out under the supervision of William Sheppard, and the major features included an artificial lake, waterfall and rockwork – designed to break up the original flat terrain – by James Pulham and Son, of Broxbourne. One of these visitors was the Irish poet and playwright, William Butler Yeats, who said he walked around the Green ‘almost every day’ while he lived in nearby Merrion Square. ‘. . a symmetrical pattern of paths and lawns, providing the setting for two fountains and numerous formal flowerbeds, filled throughout the growing season with colourful displays of bedding plants, including tulips, geraniums, wallflowers, petunias and many others. This provides a very evocative picture of the Green, whilst Fig 2 is an aerial view of the Green, probably taken sometime during the 1970s. 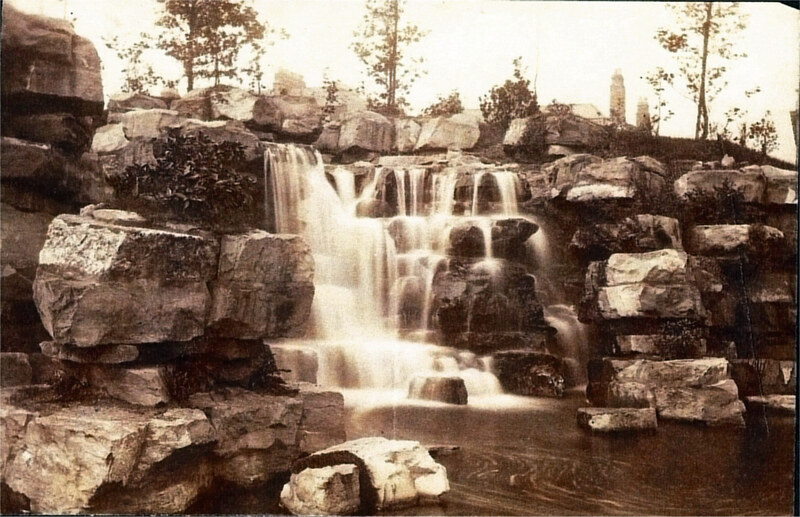 Fig 3 is a photo from the Lawrence Collection, showing the waterfall in full flow in its heyday c1900, while Fig 4 is a nice view of some of the rockwork lining the banks of the lake c2005. The bridge over the lake is shown in Fig 5, with some more rocks lining the banks and around the base of the bridge itself. This is a typical Pulham bridge – similar to several that are pictured in my book, including the two in the grounds of Buckingham Palace – and is of normal brick construction, but faced with cement sculpted to simulate the old-style ashlar finish. 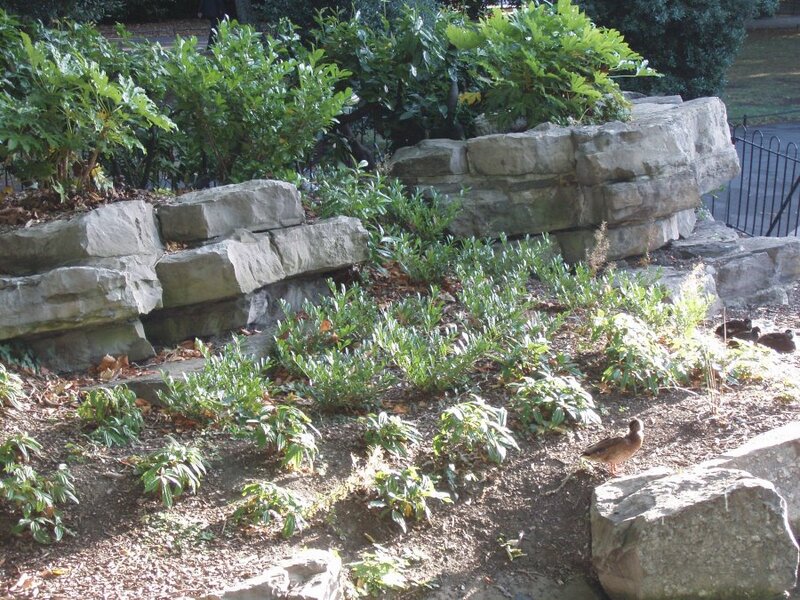 The rockwork was painstakingly cleared by the gardening staff at St Stephen’s Green in 2010. 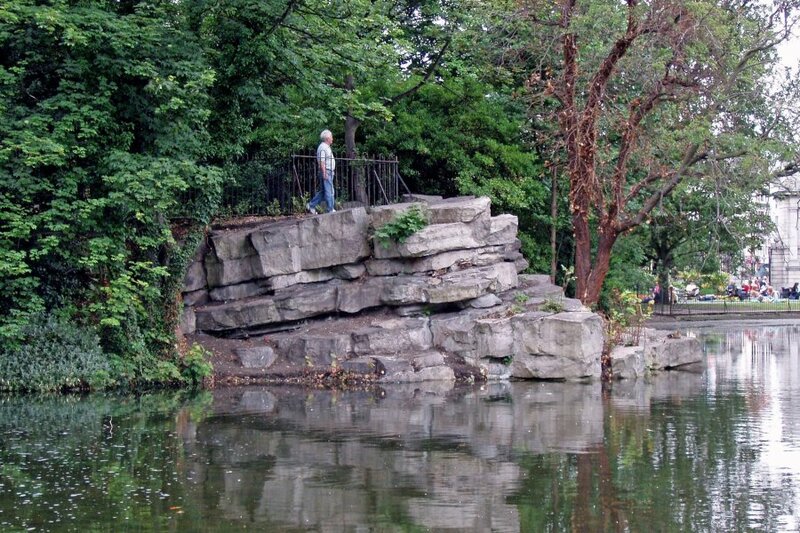 The Plane tree branches were raised on the trees surrounding the cascade, and new planting was introduced to the rockwork area close to the bridge, and the rocks, as they are today, can be seen in Fig 6. This work was carried out under the supervision of Margaret Gormley, Chief Park Superintendent, OPW, to whom I am most grateful for all her help in providing photographs and news updates over the past few years. 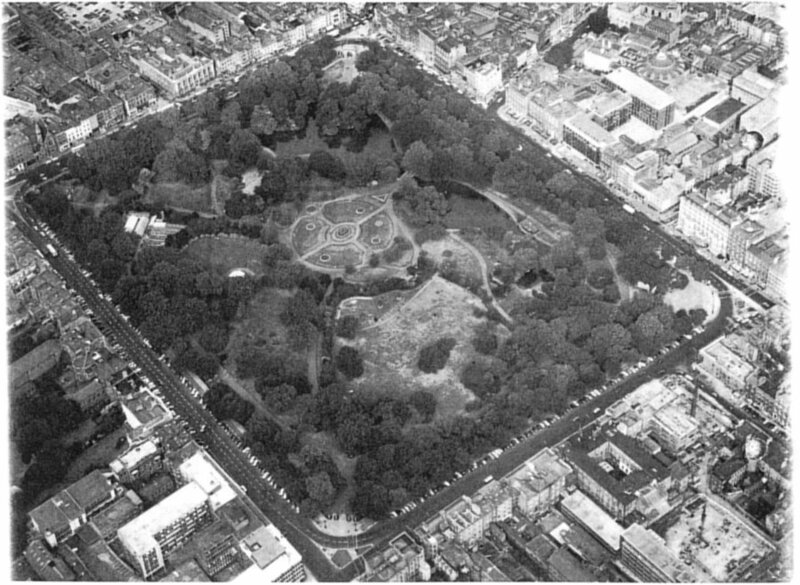 [i] Historical notes on St Stephen’s Green, Dublin, taken from Centenary Booklet on ‘St Stephen’s Green, 1880 – 1980,’ written by Alan Craig, and published by the Commissioners of Public Works in 1980. Posted on October 2, 2013 June 19, 2016 by Claude HitchingPosted in Sites Month 2Tagged . . James Pulham and Son, Dublin, Lord Ardilaun, Margaret Gormley, Pulham bridge, Sir Arthur Guinness, St Stephen's Green, waterfall.